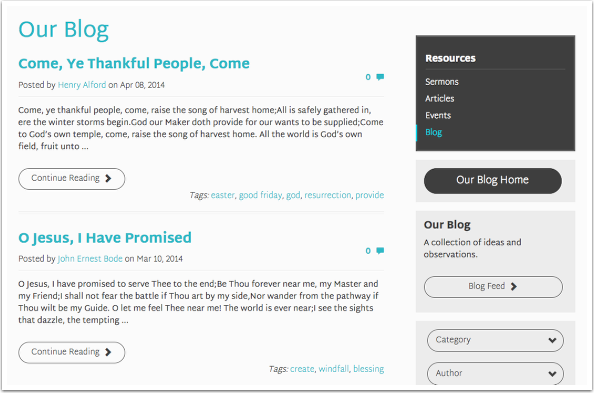 This template uses Blog Layout 2 from our layouts site. The blog template is a template that is assigned to a blog from the Menu Navigation Tree. To add a blog to the Menu, create a new navigation item (CONTENT > PAGES > NAVIGATION > ADD NEW ITEM), under Content, click "View All" and select the blog you'd like. Each blog can be viewed by adding a Navigation Menu item and assigning it as a link from the Menu Navigation Tree.